The estimated time to complete this course is approximately 8 hours. You will receive a 12 months licence to the course. HACCP is the basis for all food safety management systems and the universally accepted tool to identify and eliminate food safety hazards. This online training course takes approximately 8 hours to complete. Gain a practical understanding of Hazard Analysis Critical Control Point (HACCP), and learn how to develop and implement a HACCP system to meet customer and regulatory requirements. This course is ideal for food industry professionals in production, research and development, Quality Assurance/Control, business owners or management who need to obtain a practical understanding of the HACCP methodology and how to use it within their business. Develop and implement a HACCP system into an organization. 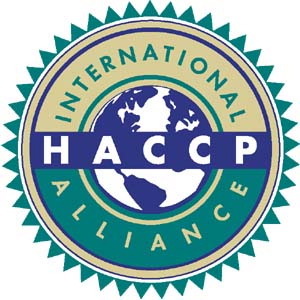 SAI Global’s HACCP Training Course is an Accredited HACCP Course as recognized by the HACCP Alliance.